Tracy Sundlun, known as “Mr. 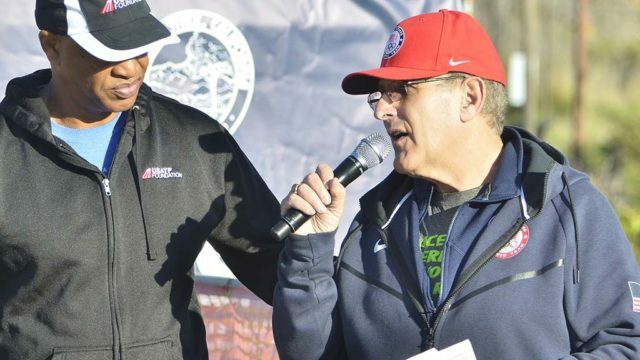 Marathon” for helping turn the Rock ‘N’ Roll Marathon Series into a global giant, is suing the San Diego company he helped found. The 66-year-old former sports executive says Competitor Group Inc. didn’t pay a promised $146,000 severance and health and other benefits after he was fired two weeks before the 2016 Rio Olympics, where he served as U.S. track team manager. Sundlun is suing CGI, as it’s known, in San Diego Superior Court for unspecified general, special and punitive damages. Now owned by the Ironman arm of Tampa-based World Triathlon Corp., CGI is still listed as an active California business despite its dwindling staff being moved to Florida. Sundlun, a Santee resident, declined to comment on the case against his employer of nearly 20 years. Greifinger, 61, still hasn’t heard from CGI. But the company — or its parent — has to file a legal response by late next week. CGI and World Triathlon Corp. — owned by Chinese conglomerate Wanda Group — did not respond to email and voice mail requests for comment. The case has been assigned to Judge Kenneth Medel, with a conference set for Aug. 23. He’s known Sundlun since the late 1970s, when he ran track for UCLA and Sundlun was an assistant track coach at USC. Greifinger went on to represent the Santa Monica Track Club and its star athlete — Olympic legend Carl Lewis, preparing contracts and the like. 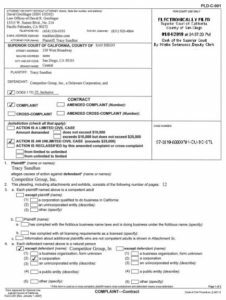 In May 2017, Sundlun told Times of San Diego that CGI owed him well over $160,000 and hadn’t been reimbursed for all his business expenses. He’s also owed $2,000 monthly COBRA health insurance payments, he said. On May 12, 2017, Sundlun filed a complaint against CGI with the state Department of Fair Employment and Housing and the U.S. Equal Employment Opportunity Commission. That paved the way for the San Diego lawsuit. He’s well within the four-year statute of limitation on breach-of-contract suits. At the time, it was thought that CGI withheld payment because Sundlun had violated the nondisparagement clause of the six-page separation agreement signed Oct. 28, 2016. Sundlun, in fact, held back on answering many questions that would cast CGI in negative light, the letter said. Last week, attorney Greifinger agreed that CGI was using the Times story as an excuse not to pay 38 weeks’ severance on his $200,000-a-year salary, plus other benefits. CGI, registered as a Delaware corporation, operates in many states, since it runs dozens of musical marathons and half-marathons. Originally based in Mira Mesa, the company that once had more than 250 employees moved to Sorrento Valley in March 2017. But after being acquired in June 2017 by Ironman (owned by Chinese billionaire Wang Jianlin), CGI’s staff shrank to about 20, according to a longtime running industry associate. Rock ‘N’ Roll Marathon turnouts have shrunk as well, said the source, who declined to be named. The Rock & Roll Arizona Marathon, Half Marathon and Mini Marathon on Jan. 20 was an example, the observer said. News reports said 20,000 people had registered for some part of the weekend-long series of Tempe road races. But the industry veteran said actual entrant numbers were fewer and represent a decline from past years. Two weeks ago, former CGI president and CEO Josh Furlow was fired, according to multiple sources. Furlow, who let Sundlun go in 2016, had been Ironman’s managing director for North America. “Somebody had to be the fall guy” for corporate losses, said the industry veteran. Sundlun, the source said, still longs to be part of the business he created. “He would trade all of this [legal battles] in a second to be back,” said the industry veteran. Updated at 7:20 a.m. Feb. 1, 2019. Posted in Business | Tagged Competitor Group Inc., David Greifinger, Ironman, Rock 'n' Roll Marathon, Tracy Sundlun, World Triathlon Corp.